Dr. Avital Harari is a well-known general surgeon in Los Angeles, California. She received her medical diploma from Washington University School of Medicine in St. Louis in 2004. After getting her medical degree, she did an internship in surgery at New York-Presbyterian/ Columbia University Medical Center, between 2004 and 2005. Dr. Harari completed her medical education with a residency in general surgery at New York Presbyterian Hospital – Columbia University Medical Center, between 2005 and 2009 and a fellowship in endocrine surgery at UCSF /Mount Zion Medical Center, between 2009 and 2010. She is certified by the American Board in surgery. Her subspecialties are general surgery and endocrine. 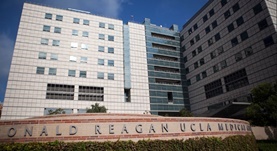 This doctor works in several hospitals in the area, including: UCLA Endocrine Center Surgery Team, at Ronald Reagan UCLA Medical Center and UCLA Medical Center Santa Monica. She was awarded the following honors: Sigma Xi Scientific Research Honor Society in 1997, Cultural Ambassador in 1997, Park J. White, M.D. Prize (excellence in the realm of medical ethics) in 2004, Samson F. Wennerman Prize in Surgery in 2004, Glasgow-Rubin Memorial Achievements Citations award (presented to women graduating in the top ten percent of their medical school class) in 2004, Fellow in 2010, America's Top Surgeons in 2014, Superdoctor Southern California Rising Star (in 2013,2014,2015) and ACS Fellow. She has published many articles in collaboration with other doctors. She is a member of the following medical organizations: American Association of Clinical Endocrinologists, American College of Surgeons, Endocrine Society, Association for Academic Surgery, International Association of Endocrine Surgeons, National Institutes of Health Early Career Reviewer Program, American Associationof Clinical Endocrinologists, UCLA Clinical and Translational Science Institute, UCLA Johsson Comprehensive Cancer Center, Pacific Coast Surgical Association, American Association of Endocrine Surgeons, American Thyroid Association and Association of Women Surgeons. Besides English, she can speak Hebrew and Spanish. Dr. Avital Harari has contributed to 3 publications. Increased rates of advanced thyroid cancer in California. Harari, A.,Singh, R. K.; J. Surg. Res.. 2016 Feb 07. Medical Students' Perceptions of Surgeons: Implications for Teaching and Recruitment. Braun, H. J.,Dusch, M. N.,Park, S. H.,O'Sullivan, P. S.,Harari, A.,Harleman, E.,Ascher, N. L.; J Surg Educ. 2015 Jul 21. Dynamic Parathyroid Computed Tomography (4DCT) Facilitates Reoperative Parathyroidectomy and Enables Cure of Missed Hyperplasia. Cham S Sepahdari AR Hall KE Yeh MW Harari A; Ann Surg Oncol. 2015 Feb 18 .